I didn't vote for either of these dudes in round 1. But Archimboldo, I guess, for the burr chin. 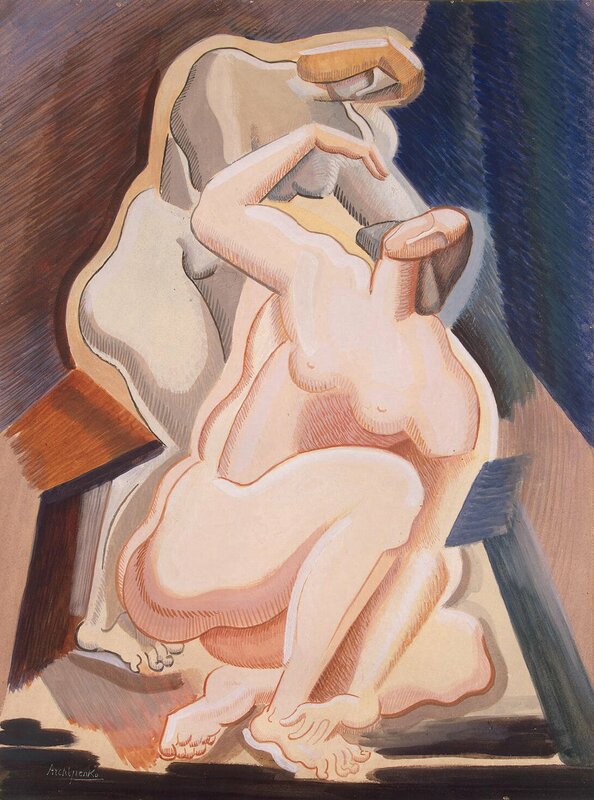 I think I'll go with Archipenko this time, the last two samples of his art remind me of some art my parents had in their house when I was growing up, so nostalgia and all that. 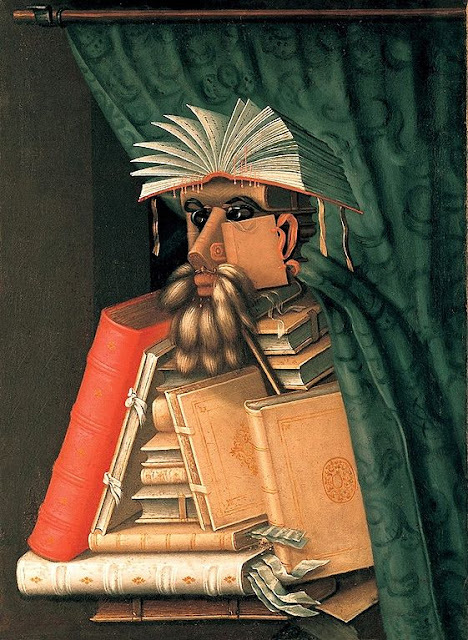 I liked Arcimboldo when he was just a fruit-man guy, but now he's branched out to book-men? That is one awesome painting, and Arcimboldo gets my vote. This is hard. I realy like them both. 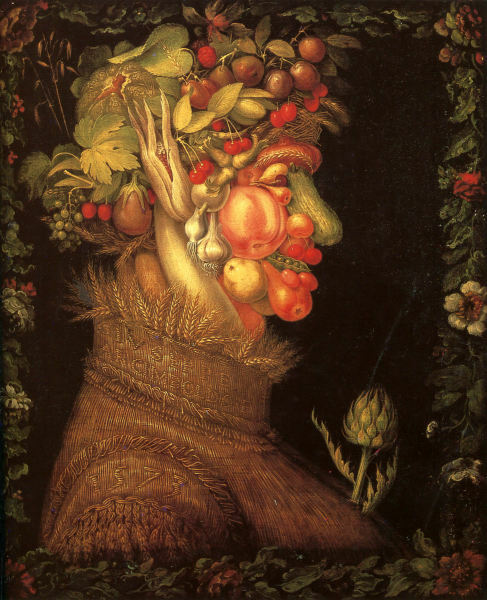 But after looking at more of Arcimboldo's work, I'm going to have to go with him, just for the sure genius of it. 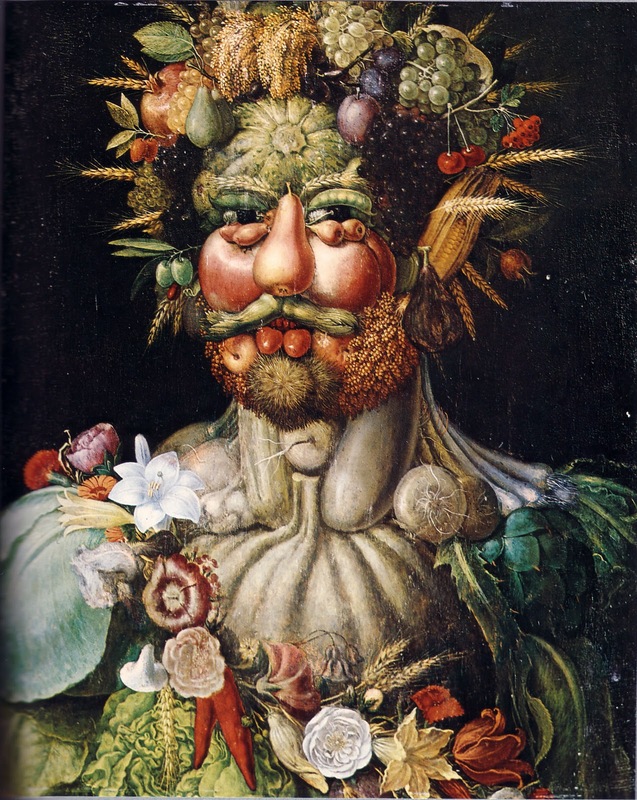 Yeah, I'm going to have to go with Arcimboldo. Arcimboldo, naturally. 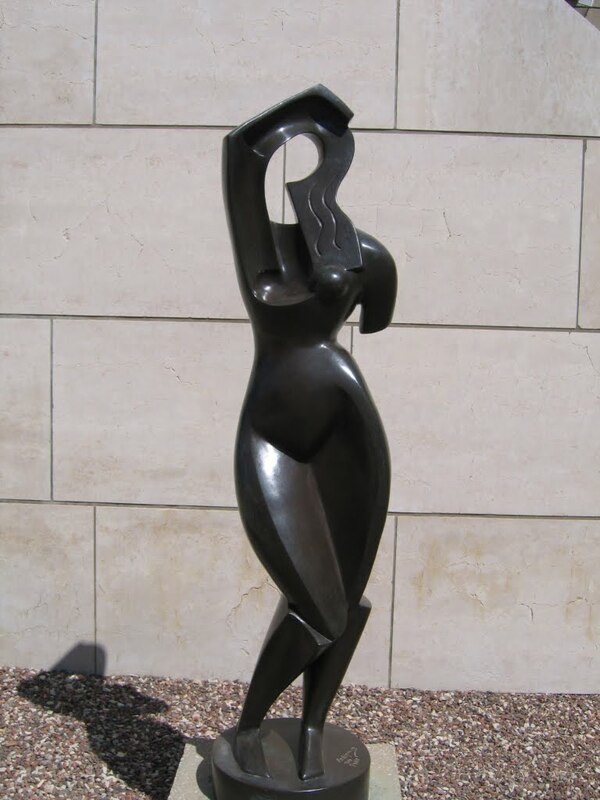 But I do think it's really friendly of that one human figure of Archipenko's to be giving the other human a nice backrub. Arcimboldo. I've always been pretty happy that there was someone famous for painting pictures of people made out of vegetables. Mrs. X says that while Archipenko is prettier, Arcimboldo is more creative, so he gets her vote. Hmm, Mrs. X, eh? Very well, but I shall be alert -- ALERT, I tell you -- against the evils of bloc or sockpuppet voting! And so will Mrs.5000! Arcimboldo all the way, here. And yes, that little guy is the X-Man aka the mighty Xerxes Israfel Orion Sebastian X. At about a year. He just turned 3.5, is no longer on the oxygen, and keeps trying to get me to buy him apps for the iPad. Voting closes in this match-up with a solid victory for Arcimboldo.